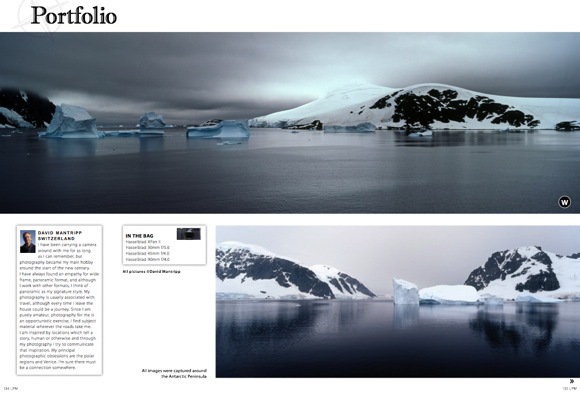 I’m please to announce that a set of my Antarctic XPan panoramas is featured in the latest issue of Landscape Photography Magazine. It’s something of a coincidence to hear about this now, as I’ve been revisiting these over the past few days, and making new scans with the Plustek Opticfilm 120. I found that my initial interpretations, from which this set in Landscape Photography is drawn, were a little overwrought and the colour was inconsistent. It’s always a difficult decision whether to stick exactly to the colours as recorded by (in this case) Ekctachrome, or to rebalance a bit. I’m tending now to stick more closely to the film. You can see the difference between the version as published and my latest interpretation below. The film itself has a slight magenta cast - not sure where that comes from - which I’ve chosen to tone down. But I haven’t tried to go for a “digital” white balance as in my initial attempt. A photographic post with a return to the topic of street photography (which I don’t do). Here I line up all sorts of obstacles for myself by first trying to do street photography, second using a camera which really is at it’s best on a tripod and used slowly, and third, using what was always an unconventional choice of film, and now is just plain flat-out eccentric, Agfa Scala monochrome E6 slide film (or indeed using film at all). Agfa Scala is nominally rated at ISO200, but is designed to be used from 100 to 1600 depending on circumstances. The canisters are not DX-coded, so you need to set the speed yourself. I ran this roll at ISO800, as the XPan’s 45mm lens is relatively slow at f/4. 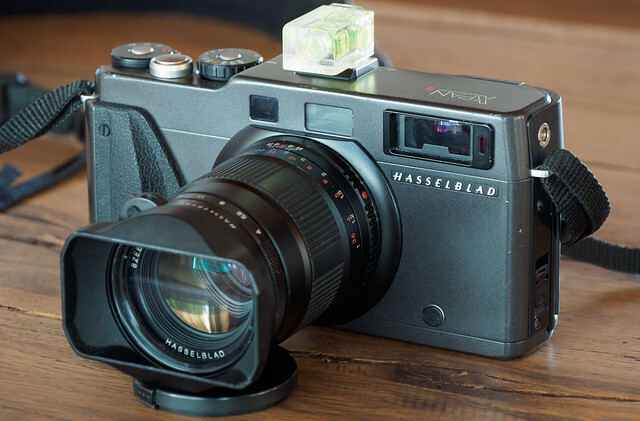 Note, 45mm on an Xpan corresponds to a horizontal field of view around 28mm for a normal 35mm frame, so you need to get close. It’s pretty easy to scan in Silverfast, using 16bit greyscale settings and auto-levels. The results are, well, at best tentative, but it was an interesting experiment. I don’t know about the rest of the world, but you can still buy the allegedly withdrawn Agfa Scala film from Fotomedia in Switzerland, who will also process it. 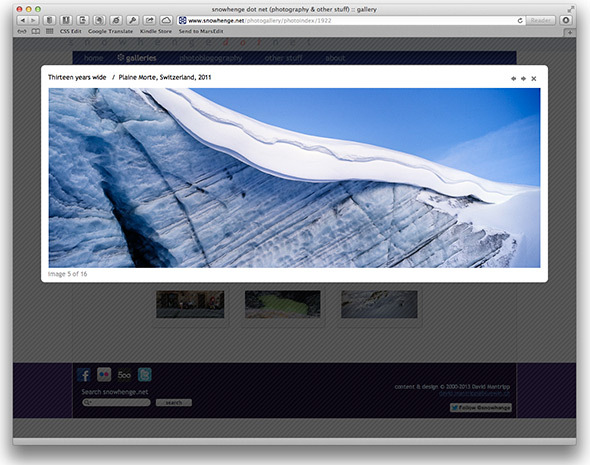 I’m besides myself with excitement as I announce that snowhenge.net has just had a minor facelift. A few little twirls here and there, but mainly I’ve rebuilt the photo gallery part to improve the display of photos, and in particular, the XPan panoramic photos which are closest to my heart. At the same time I’ve updated all the panoramic galleries with higher resolution versions, perfect for pirating. Well, for pirates with low standards, anyway. I’ve also revised the selections for the Iceland and Antarctic galleries, and added a brand new 13 year retrospective set, featuring an ad hoc selection from my archive. Oh, and it won’t work in antique versions of Internet Explorer anymore. At last. I hope you can spend a few minutes exploring these new and revised galleries. Do let me know what you think. 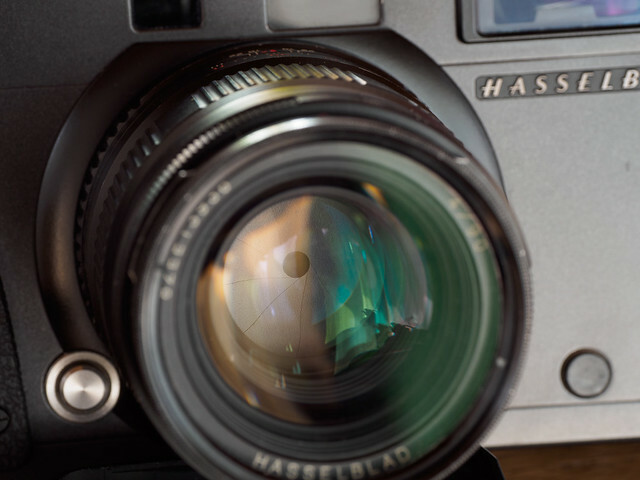 See all entries in "Hasselblad XPan"